Yolanda L. Chase, is a published Human Resources expert who has spent the last 22 years serving in consulting and leadership capacities for a variety of industries in the private, public, non-profit and government sectors. Yolanda specializes in talent management and talent acquisition with an expertise in organizational effectiveness/development and strategy. In addition to her generalist background she brings a wealth of experience in the areas of leadership and employee training and curriculum design. 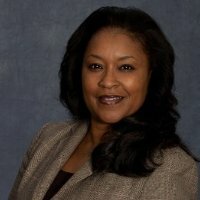 Yolanda has been recognized for her outstanding leadership and talent management skills and as a result has presented on numerous employment related topics such as Diversity and Inclusion, Getting the Job YOU Want, Negotiations Skills, Conflict Management, Mastering Speed Reading People, and Leadership 101 to name a few.